Evo & Grace: The WanderLusts: Lukot-Lukot, Bilog-Bilog: An early Christmas present. Lukot-Lukot, Bilog-Bilog: An early Christmas present. 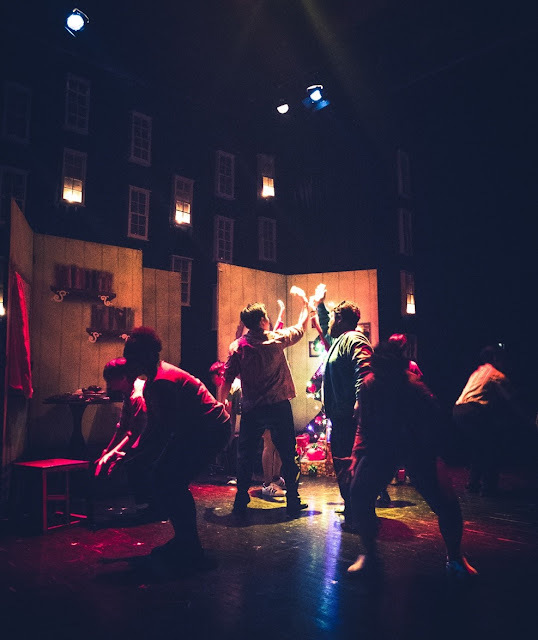 A Christmas present comes early for Tanghalang Pilipino as they held its Press Night performance of Eljay Deldoc’s Lukot-Lukot, Bilog-Bilog last December 2, 2017. 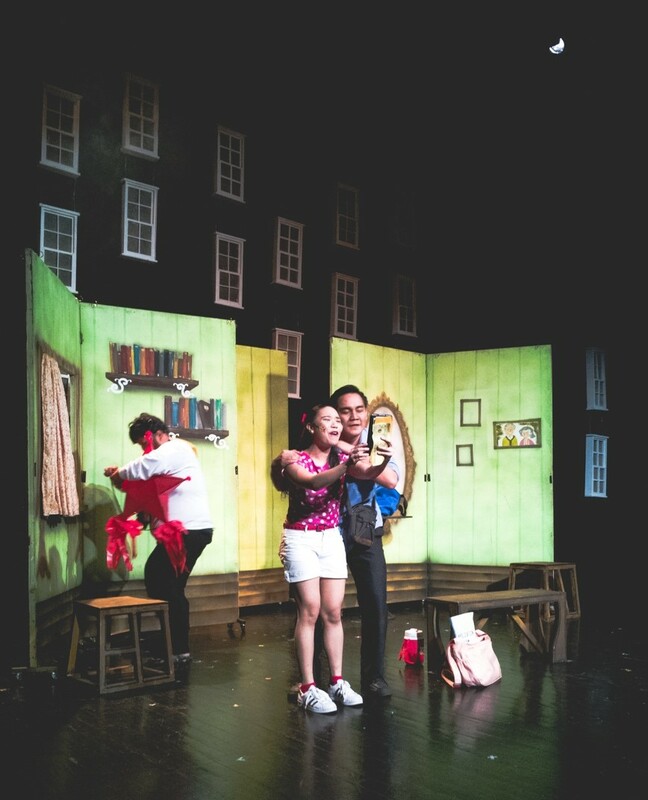 Wrapped with jolly production comes a play that tackles financial literacy and the worth of the important things for us. 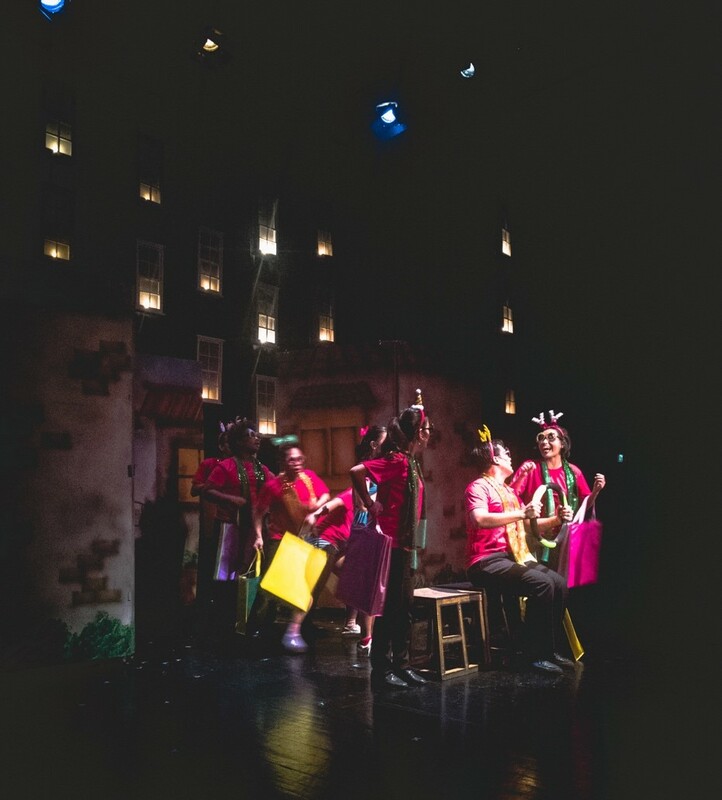 Previously screened as a play-on-tour about financial literacy, this TP’s holiday adaptation of Lukot-Lukot, Bilog-Bilog gave a wider perspective of the story by taking in the dynamics of Gwyneth’s, the lead role, family and the society where she lives in. 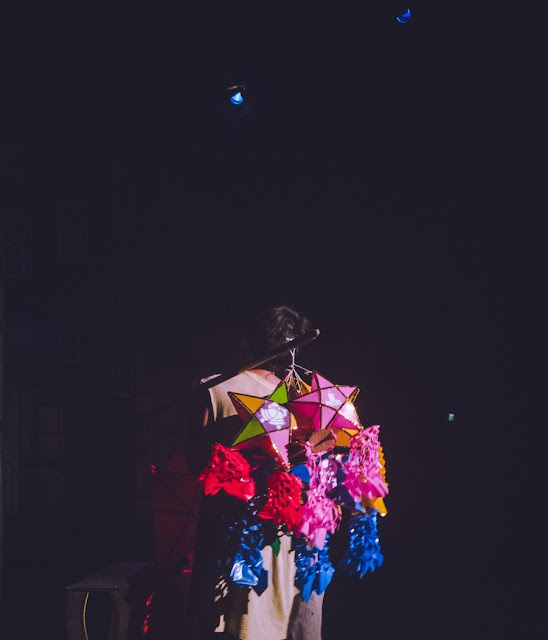 The play touches on how we build relationship with money, and how it affects the relationship that we are also building with our family and the people around us. With a teen girl (played by Blanche Buhia) as the main character, the conflicts would depict decisions that a millennial and even a baby boomer could face in real life. Lukot-lukot, bilog-bilog can be easily seen as a typical children’s play, but what really makes it special is that it tickles the little child within us. The set was very warm yet you could almost feel that Christmas’s air and with Lolo Sally (played by Jonathan Tadiaon) opening the show one could just easily go nostalgic. Polka dots, Parol and Spaghetti are accents that you couldn’t mistaken as they scream holiday of an average Filipino. Joyous hymns and productions filled the air as the ensemble performed traditional Filipino Christmas carols with twisted lyrics about different habits of extravagant holiday spending and dance choreography that is bubbly like kids on the streets- just pure fun. 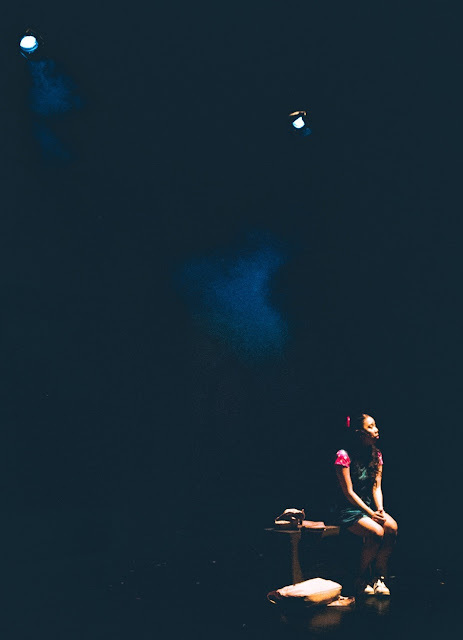 The play features an all Tanghalang Pilipino cast. 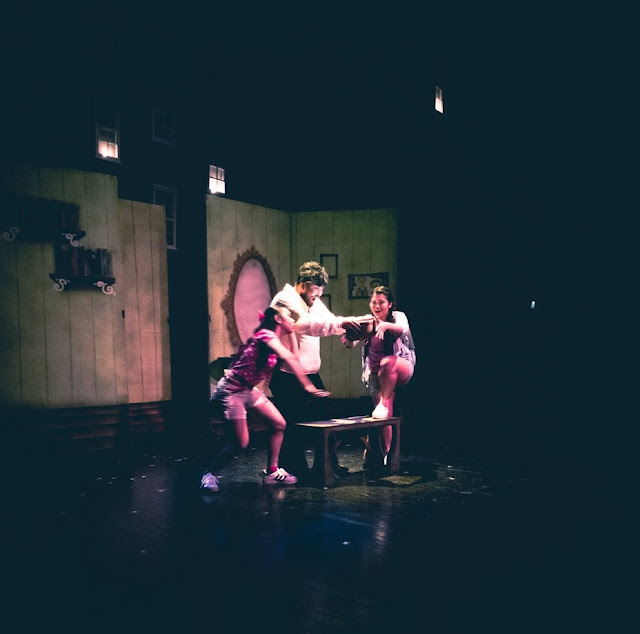 The message of wise budgeting can be also seen on the production itself as it transcends on how the casts plays multiple roles, having a minimal set panels used efficiently and optimizing the use of their props. No spaces of the theater were not used and even the audience had its participation to pop up the show. Certainly, the play’s main message is strong and clear- spend resources wisely! This play for Tanghalang Pilipino is a good breather from their heavy line up for this theater season. No doubt that the well-cited Ang Pag-uusig was one of their best this year, if not the best. It was a joy to see the casts in their comic side. One of the role that catches my attention and big break was Jing-Jing (played by Eunice Pacia), a bestfriend that almost all of us would have a love-hate relationship with all of her honesty and motherly advise. Full of wits and adlibs that punches humor on the right spots, the acting comes naturally and no pretenses. Ultimately, who would not love Jonathan Tadiaon’s Lolo Sally with all of his quirky movements and expressions, and also full of one-liner humor that would leave you laughing and gasping for air. Oh, can we have that magic wallet? As they say, Filipino has the longest celebration of Christmas in the world. Christmas for us is all about the lights, parol, gifts and parties and we tend to spend outrageously during this time with the excuse that it is holiday. The play lets you pause and encourages introspection of what is the worth of your money and family. Moreover, Lukot-Lukot, Bilog-Bilog, is a story of finding the true worth of the things that are important to us. A lesson that is relevant not only this yuletide season but for the whole year round. Tanghalang Pilipino and Eljay Deldoc’s Lukot-Lukot, Bilog Bilog runs from December 1-17, 2017 at Tanghalang Aurelio Tolentino, CCP Little Theater. For tickets call Lei Celestino (0915-607-2275) or Enzo Marco (0999-884-3821). Text and Photos by Ariane Dave Farnazo.